Dr. Ayubi, a former part-time lecturer for the Department of Political Science who received the Sybil Cohen Award for Excellence in Teaching in 2008, is now an assistant instructor. 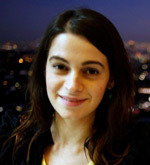 Dr. Ayubi earned her Ph.D. from the University of Pennsylvania, where her dissertation focused on “The Study of Egyptian Foreign Policy: The Role of Leadership in Decision-Making.” Her research interests include the politics of oil and minerals, multinational corporations in transition, the United Nations and the new world order, issues affecting the developing world, and globalization. 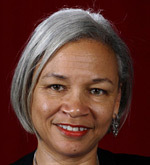 Dr. Bush-Baskette earned her Juris Doctorate from American University’s Washington College of Law and her Ph.D. in criminal justice from Rutgers University-Newark’s Graduate School of Criminal Justice. She was a member of the Department of Sociology, Anthropology, and Criminal Justice last year, and joins us again as an instructor. Dr. Bush-Baskette is currently researching the impact of race/gender and policies on black girls and black women in the justice systems. Dr. Chan joins us from the Laboratory of Behavioral Neuroscience at the National Institute of Aging, where he served as a post-doctoral IRTA fellow. 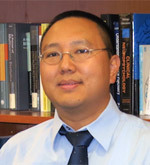 He earned his Ph.D. in social/personality psychology from the University of California, Berkeley, where he wrote his thesis on “Cognitive-Affective Consequences of Exposure to Stereotype Information.” Dr. Chan’s research interests include personality and individual differences, stereotyping and prejudice, longitudinal personality changes, stigma from the target’s perspective, discrimination-related psychological and physical distress, social cognition, lay theories, media and communication. Dr. Cutuli earned his Ph.D. in developmental psychopathology and clinical science from the University of Minnesota. He has worked as a clinical psychology intern at Children’s Hospitals and Clinics of Minnesota and most recently served as a Faculty Research Associate at the School of Social Policy and Practice at the University of Pennsylvania. Dr. Fu joins us from the Center for Single Molecule Biophysics and Innovations in Medicine at Arizona State University, where he worked as an assistant research scientists at the Biodesign Institute. 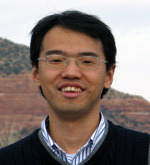 Dr. Fu earned his Ph.D. in chemistry from Arizona State University, where he wrote his dissertation on “Exploring Peptide Space for Enzyme Modulators.” While at Arizona State, Dr. Fu served as an Edson Fellow and received the Edson Student Entrepreneur Initiative Award from the ASU Foundation. Dr. Genone joins us from Franklin & Marshall College, where he was a Visiting Assistant Professor of Philosophy. Dr. Genone earned his Ph.D. in philosophy from the University of California, Berkeley. 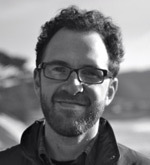 While at Berkeley, he received the APA Graduate Student Outstanding Paper Prize. His areas of specialization include philosophy of mind, philosophy of psychology, and epistemology. 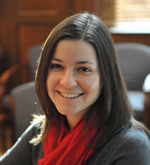 Dr. Josiowicz earned her Ph.D. in Spanish and Portuguese from Princeton University, where she was a Charlotte Elizabeth Proctor Fellow and an Armstrong Grant recipient. Her teaching and research interests include Latin American studies, gender and sexuality studies, psychoanalysis, critical race theory, trans-American studies, children’s literature studies, visual media and film studies, and intellectual history. 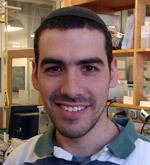 Dr. Klein joins us from Princeton University, where he was a post-doctoral researcher in the Department of Molecular Biology, where he studied novel mechanisms of prokaryotic protein subcellular localization and organelle development. 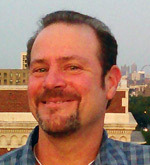 Dr. Klein earned his Ph.D. in pharmacology from the University of Pennsylvania. In 2010, Dr. Klein received the Ruth L. Kirschstein National Research Service Award. 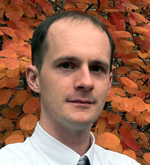 Dr. Larini earned his Ph.D. in applied physics from the University of Pisa. 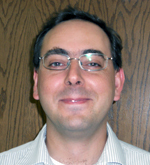 He has served as a post-doctoral fellow at the University of Utah’s Center for Biophysical Modeling and Simulation, and most recently was a post-doctoral fellow at the University of California, Santa Barbara. 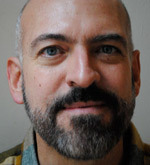 Rutgers-Camden alumnus Paul Lisicky recently served as Rutgers-Camden’s “New Voices” Visiting Writer, an opportunity that allowed him to teach in the graduate creative writing program. Mr. Lisicky earned his M.F.A. in creative writing from the University of Iowa’s Writers’ Workshop. He is the author of the novels Lawnboy and The Burning House, the creative non-fiction work Famous Builder, and the inter-genre Unbuilt Projects. 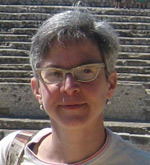 Dr. Mokhberi earned her Ph.D. in European history from the University of California, Los Angeles, where she wrote her dissertation on “France and Persia in the Age of Absolutism.” A recipient of the Fulbright Fellowship and the Clark-Huntington Joint Bibliographical Fellowship, Dr. Mokhberi most recently served as a lecturer for Loyola Marymount University in Los Angeles. 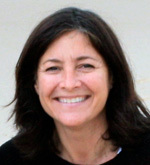 Dr. Napolitano earned her Ph.D. in sociology from the University of Pennsylvania. 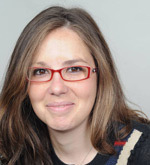 Her areas of interest include the sociology of family; transition to adulthood; family functioning and well-being; adolescence and childhood; inequality; and qualitative methods. A recipient of the Penn Prize for Excellence in Teaching by Graduate Students, Dr. Napolitano previously served as the Harold A. Richman Post-Doctoral Fellow for Chapin Hall at the University of Chicago. 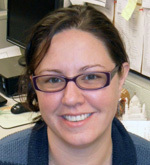 Rutgers alumna Dr. Oberle-Kilic earned her Ph.D. in ecology and evolution from Rutgers University, where she wrote her dissertation on “Fungal community and decomposition dynamics using Fourier transform infrared microscopy and atomic force microscopy.” Dr. Oberle has served as a part-time lecturer at Rutgers since 2007. Dr. Osuji earned her Ph.D. in sociology from the University of California, Los Angeles. Her research interests include comparative race and ethnicity; immigration; sociology of the family; and qualitative research methods. She recently was a post-doctoral fellow for the Center for Africana Studies at the University of Pennsylvania. Dr. Osuji is the recipient of the ASA Section on Race and Ethnic Minorities James E. Blackwell Best Graduate Student Paper and a Fulbright IIE Graduate Student Research Fellowship. 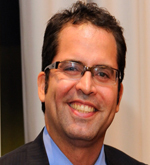 Dr. Salas-de la Cruz earned his Ph.D. in chemical and biomolecular engineering from the University of Pennsylvania. 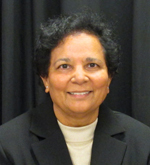 A member of Leap Academic University Charter School’s Board of Trustees, Dr. Salas-de la Cruz most recently served as a senior application engineer/research engineer for the Power Plant Components Division of Holtec International. Rutgers-Camden alumna Ms. Sibley received her master’s degree in physical organic chemistry from the University of California, Davis. Ms. Sibley received the Outstanding Graduate Student Teaching Award at UC-Davis. Dr. Woloson earned her Ph.D. in American studies from the University of Pennsylvania, where she wrote her dissertation on “Refined Tastes: Sugar, Confectionary, and Consumers in Nineteenth-Century America.” Her most recent position was with EBSCO Publishing as a consulting historian. Page last updated by Faculty of Arts and Sciences at 3:20 pm October 18, 2016 . This page was printed from http://fas.camden.rutgers.edu/faculty/new-faculty-2013-2014/ at 5:23 PM Saturday, April 20, 2019.